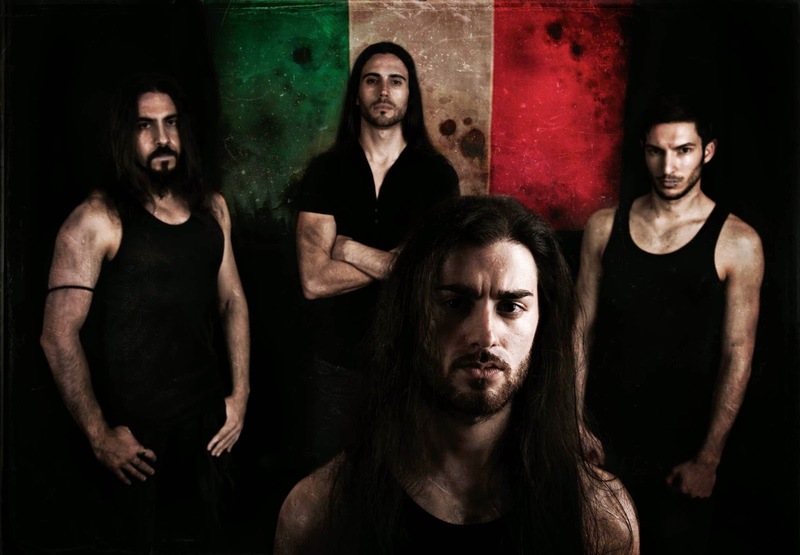 While not overly known for their early works, the Italian tech death group Hour of Penance had reached the pinnacle in their career with their last three releases, ascending ever higher with each one; 2008's The Vile Conception, 2010's Paradogma and 2012's Sedition. Although their earlier albums aren't as beloved as the latter, this band is one of the few that are known for not disappointing their fans once the next release hits; they're constantly pushing their brutal, technical boundaries and each album has it's own unique creative spin to it. 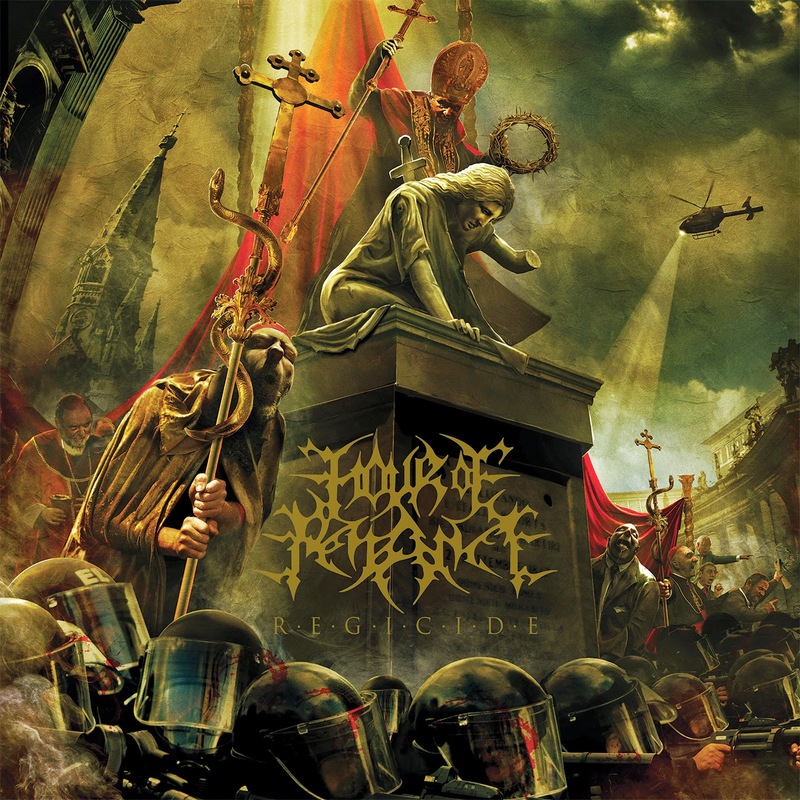 Can Hour of Penance keep on their upward trend, or is Regicide where the mighty will fall? Diving head first into the material, it begins with "Through the Triumphal Arc", a short atmosphere driven introduction track that has a simple but great rhythm alongside a foreboding chant. Sadly, this is the only track worth mentioning by name as the remainder of the content is nothing more than a few good moments at best that are disseminated among a landfill of churning, mechanical grinding. The album has one setting, a medium-fast tempo that stretches itself through the full longevity of the content and never breaks for any changes or unique composition types. After three listens to Regicide I was finally able to pinpoint just where the album fails so horrendously, aside from the obvious lack of creative song crafting and technical prowess that Hour of Penance have proven themselves more than outstandingly capable of over the course of five albums; it's also the fact that the distortion that's applied to both guitars match the drums so well that all three instruments mangle together into an unrecognizable heap. The continual palm muted riffs and overloaded blast beats don't do this injustice any favors, either, as it causes the components to blend even further together. The only saving grace to the material is the lead guitar, which only peaks out occasionally with a crystallized tone and surges of mediocre technicality that involves some lovable hammer ons/pull offs and quick picking. The song compositions are generic and bland; while there is still a tiny shrivel of instrumental showmanship left, it's extremely minimal and beneath what Hour of Penance can actually do. The band have set the bar high with their previous releases which are filled with adept compositions, and in doing so sound as if they have regressed drastically in this release without continuing their skillful progression. The audience will be hearing the guitars only on palm-muted power chord trips in patterns that follow the mostly blast beat and double bass drumming. The bass is lost somewhere in the madness of the other elements and fails to stand out at any point of the content, it's as if it isn't even present. The strongest element are the vocals, which are powerful growls that empower the aggressive stance of the content. What the hell happened? This question is the only lasting impression that will be left for the listener when the album comes to a grinding halt. Regicide stands as a dismal monolith of disappointment in the Hour of Penance discography. The entire album is filled with repetitive heavy, machine-like chugging that recycles many of the patterns and riffs from track to track. Aside from "Through the Triumphal Arc", the only song worth mentioning is "Resurgence of the Empire" since it's the most technically taxing of the lot, with enjoyable hammer on/pull off leads, uplifting solos, descending scales and annihilating drum work. "The Sun Worship" should be renamed to "The Nile Worship", as it's heavily reminiscent of something that they would've created. Other than that, let's just forget this one ever happened and go back to listening to Sedition.